An Australian man is facing charges for allegedly trafficking his Indian wife and their 2-month-old Australian-born daughter from Sydney to India. 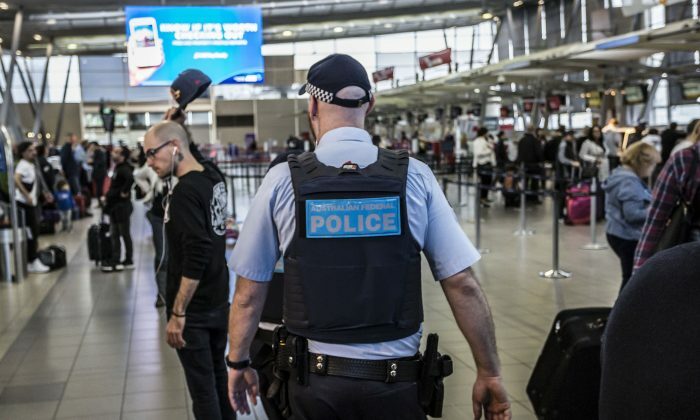 The 27-year-old man from Sydney, who is unnamed for privacy reasons, allegedly forced his wife and infant daughter to fly to India and tried to cancel their Australian visas in March 2017, reported Australian Broadcasting Corporation (ABC) News. The man appeared in Sydney’s Downing Centre Local Court on Dec. 5, for three offenses, including one count of human trafficking. He denied the accusations. “My wife asked me to book tickets for her to go overseas. Now she is saying I forced her to go,” he told the court, reported ABC News. If convicted he faces a maximum penalty of 12 years in prison. The investigations began in May 2017, after detectives from the Australian Federal Police (AFP) Human Trafficking Team received a referral from a nongovernment organization, Anti-Slavery Australia, at the University of Technology Sydney, according to an AFP statement on Dec. 5. The AFP accused the man of making “threats of physical violence” if his wife and child did not go to India. After his wife was overseas, the AFP said the man then contacted the Department of Immigration to have his wife’s visa application canceled so that she could not return to Australia. “We will also allege that the two-month-old infant’s passport was removed preventing her to return to Australia,” Detective Superintendent Dan Evans told ABC News. The AFP said the visa was not successfully canceled and the woman was able to return to Australia with their daughter, according to the news station. “It’s a disturbing case where we see a victim and their young child transported from Australia to a foreign jurisdiction without any means for them to return home,” he added. The detective superintendent also said the Australian government, other law enforcement agencies including a post in New Delhi, India, and nongovernment organizations worked closely to investigate the case. “This is a reminder that forcing someone to leave Australia using coercion, threats, or deception is an offense under our laws, and strict Commonwealth human trafficking offenses may apply,” Evans said in the statement. The AFP said the number of human trafficking in Australia was hard to estimate as it was often underreported, however, in the past financial year investigations received 150 referrals in relation to human trafficking including labor, forced marriage, and sexual servitude, reported ABC News. Dear reader, we have a little favor to ask of you. We work hard to deliver important and interesting articles to you. Please help support independent journalism by sharing this article with your friends and family. It takes less than a minute. Thank you!